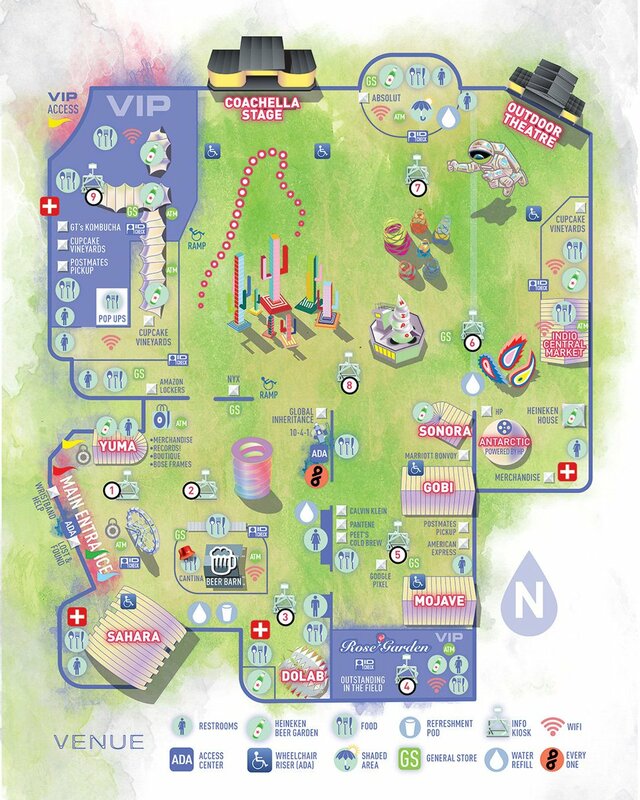 Coachella 2019 has emerged to be the coolest and most popular of summer music festivals in the U.S. with a lineup of rock, pop, hip-hop, indie & electronic music, with an exquisite sense of curation. It's grown to wide acclaim for its lineup choices and live stream every year. 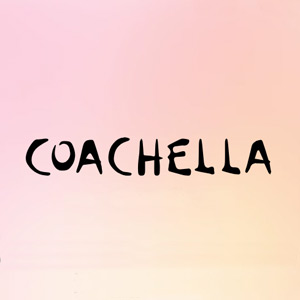 You can check the status of Coachella tickets farther below and Coacehella lineup is out! Childish Gambino, Tame Impala and Ariana Grande all headline! Janelle Monae, Solange, Khalid, The 1975, Kid Kudi, Zedd, Diplo, Aphex Twin and CHVRCHES also top the lineup! The Coachella dates are April 12 - 14 and April 19 - 21, 2019. There's also a great run of Coachella sideshows in the week between festivals, so if you only go to one weekend, it's good to overlap your stay with the middle week to catch the action on the sideshows in various venues around Los Angeles (a.k.a. Localchella). 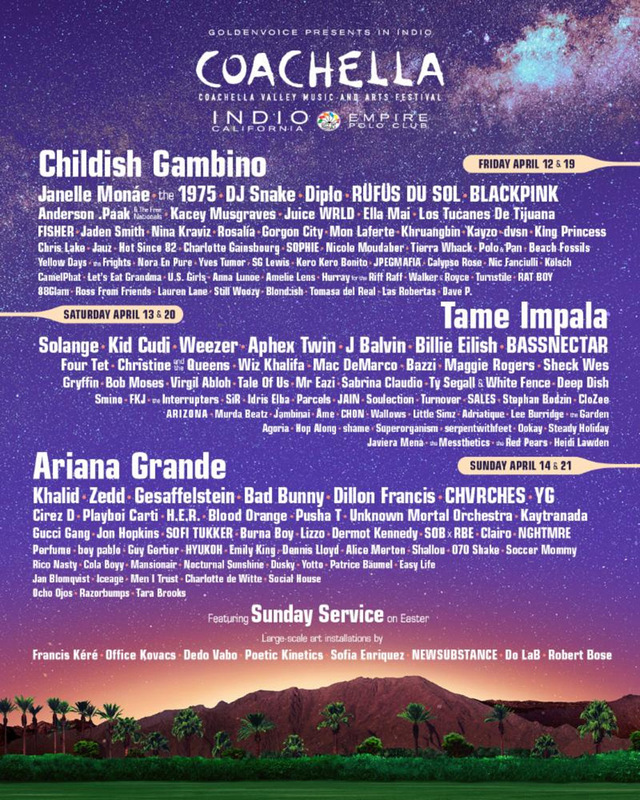 The Coachella 2019 lineup and Coachella tickets are below! Coachella tickets are longer on sale. 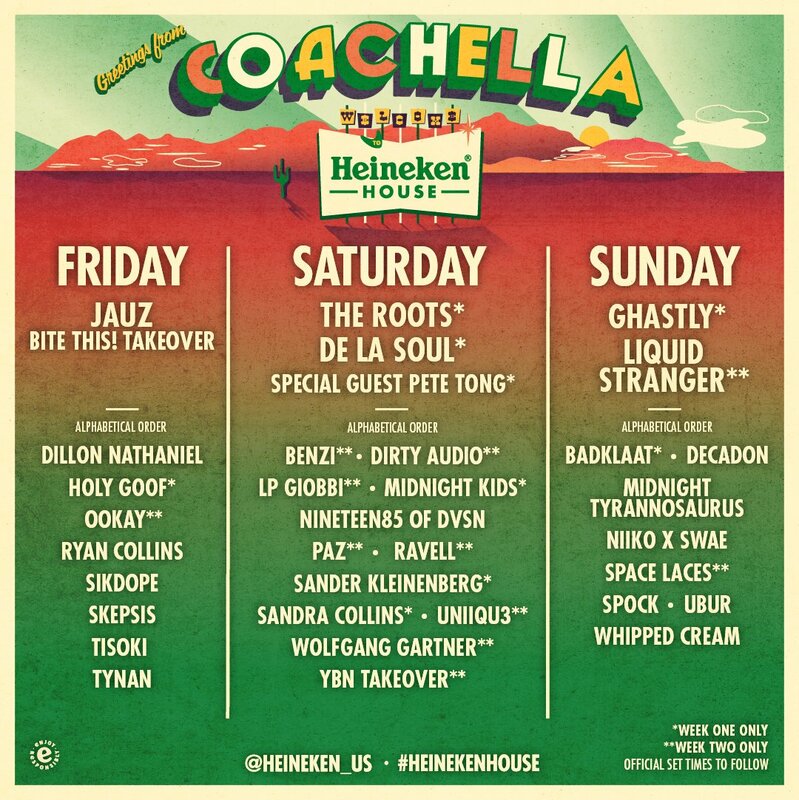 The Coachella Heineken House lineup!